The new agreement will allow Kazakhstan and Russia to successfully develop cooperation in the space sphere. Russia and Kazakhstan have signed a concept of cooperation at the Baikonur complex following talks between Russian President Vladimir Putin and his Kazakh counterpart Nursultan Nazarbayev. The document was signed by Russian Deputy Prime Minister Dmitry Rogozin and Kazakhstan’s First Deputy Prime Minister Askar Mamin. Besides, the two countries have introduced changes to the agreement on the status of the city of Baikonur, the establishment and status of its executive bodies, dated Dec. 23, 1995. The protocol was signed by Russia’s Roscosmos State Corporation General Director Igor Komarov and Kazakhstan’s Minister of Defense and Aerospace Industry Beibut Atamkulov. The new agreement will allow Kazakhstan and Russia to successfully develop cooperation in the space sphere, Nazarbayev said during his meeting with Putin. 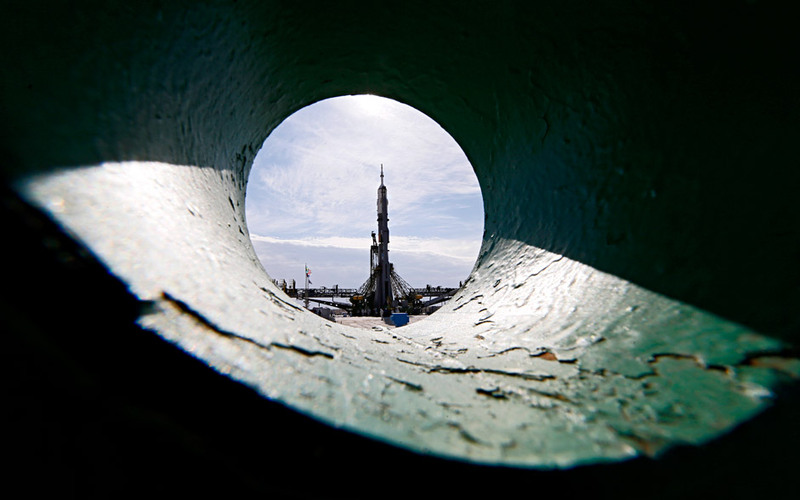 "We are about to adopt a new eight-year road map to be effective until 2025, there are also plans for a new rocket… This will be the special feature of bilateral cooperation at Baikonur which will pave the way for further activities," Nazarbayev said. Earlier in December, Russia’s Deputy Prime Minister Dmitry Rogozin visited Kazakhstan’s capital of Astana and held talks on the future of the Baikonur Cosmodrome and the Baiterek complex, which is an important common project. According to Rogozin, Russia has been searching for new ways to get spacecraft into orbit, in particular, there was a plan to establish a Baiterek complex where Zenit launchers, a Russian-Ukrainian creation, could be used. However, given the situation in Ukraine this plan had to be abandoned. Later an idea emerged aimed at creating a new Russian rocket of the same class that would have a launch weight of 10-16 tonnes. The carrier-rocket was given the name of Phoenix, it is expected to help Roscosmos create a new super-heavy rocket.